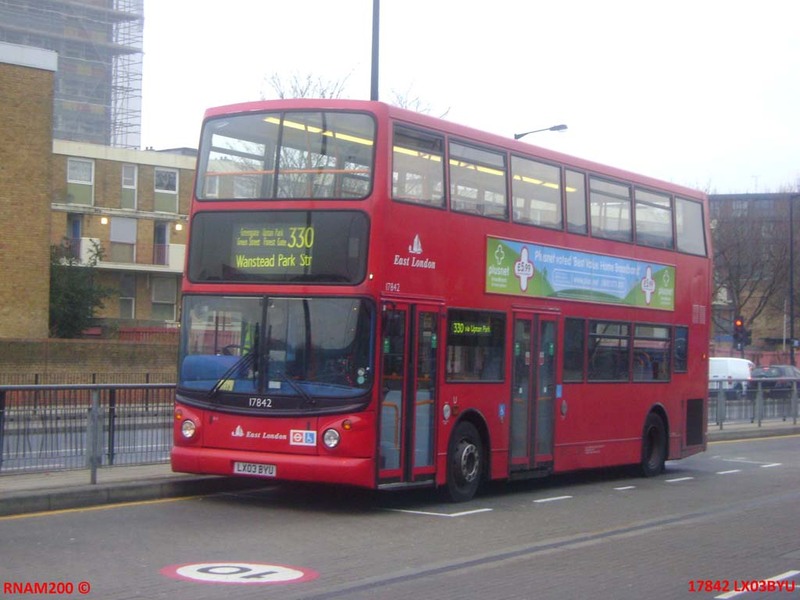 The 330 was formed in the September 1993 Newham area route scheme, to preserve a link from Forest Gate and Upton Park to Plaistow and Canning Town that would otherwise have been lost when route 58 was altered to run to East Ham. Buses operated beyond the Canning Town terminus of the old 58 as far as the new bus terminus at Blackwall DLR station, which the route shared with the 40. The opening of the first stage of the Jubilee Line Extension saw the route curtailed to the new interchange station at Canning Town – connecting with DLR and the North London Line (a National Rail route) as well as the JLE. This is just as good a place to change to the DLR as Blackwall, although some bus links into Docklands have been lost. However, the major advantage is that buses have now been removed from the severe congestion in the Leamouth area, which is at the confluence of several major roads, a bus being saved in the process. This does, however, make the route rather short, at about 6 miles in length. Initial operation of the 330 was using DRL class Dennis Darts, but these inadequate single deckers did not last long, being replaced by S-class Scania double deckers. However, these have also moved on, and the 330 is now in the hands of Dennis Trident low floor double deckers. In turn, the original batch of 98 low-height Tridents, to Stagecoach provincial specification, has also moved on (apart from TA1), and the 330 is consequently now in the hands of later model Tridents. Two views have been supplied, both in the vicinity of Canning Town. The first is 18265 (LX04 FZK), arriving from Wanstead Park on Saturday 6 February 2010. 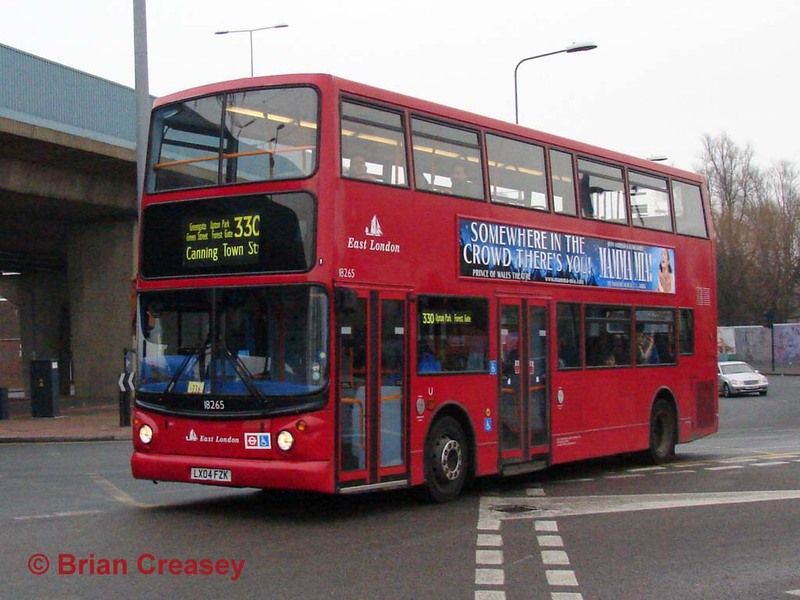 The second photograph shows slightly older 17842 (LX03 BYU) on the stand on 27 January 2010. The buses were bought when the company was still in Stagecoach ownership and are numbered in what was the national Stagecoach fleet numbering system, which has been perpetuated by ELBG even though now independent. Consequently there are large gaps in the numbering of the ELBG fleet, which are buses that remained with Stagecoach.